If you have a fantastic idea for a business, apply to our Enterprise Fund competition and you could win up to £500 to kick-start your venture. What is the Enterprise Fund? 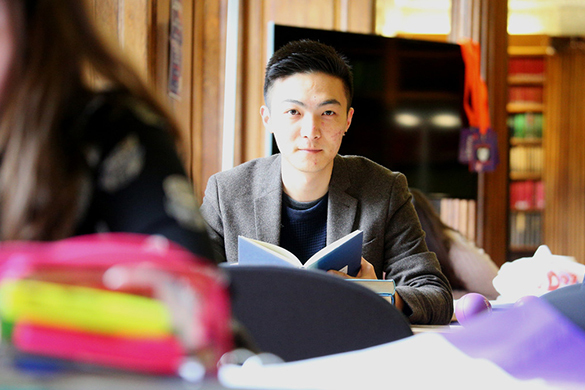 The Enterprise Fund, which is run by the University and Santander Universities UK, supports student initiatives and is open to our undergraduate and postgraduate students. We are looking for students who have a passion, drive and commitment to make their idea a reality. You can enter as an individual, or as part of a group. Funding will be available at two points in the academic year – November 2018 and March 2019. A number of successful applicants will have the opportunity to work with industry experts to gain valuable experience in developing business plans, personal branding and financial management training. Successful applicants will also have access to a graduate mentor who will support them throughout their journey with advice and guidance. To apply, visit our Enterprise Fund webpages and fill out an application. You’ll find the form on the Enterprise Fund webpages. The deadline is 5pm on Friday, 9 November 2018. Your application will be considered by the Alumni & Friends Fund Disbursement Board. You can find out more information about the competition by visiting our Enterprise Funding webpage or by emailing Ivy Sala, Engagement Support Officer. You can find out more about Santander Universities UK via their website.